Reeves DiVenere Wright is pleased to offer a comprehensive Family Law practice to all of its clients. Our firm represents family members while going through some of the most difficult times in their lives. Our representation in divorce, child custody, adoption, equitable distribution and other domestic related issues is based on a close interpersonal relationship with our clients that allows the client and attorney to form a legal strategy that best fits the individual’s goals and needs. Do I need to hire an attorney or can I represent myself? Often a client without extensive knowledge of the law has a hard time interpreting or knowing the intricacies associated with domestic law. We are therefore pleased to offer a consultation for prospective family law clients during which you can ask all of your preliminary questions and consult with the attorney to determine your individual representation needs. Please contact our office at 828-268-9640 to schedule your consultation. What are the fees associated with your services? No domestic case is ever the same and each presents unique issues and sensitivities and therefore must be evaluated on a case to case basis. Please call our office and we will speak with you regarding potential fees regarding your specific needs. Yes, the attorney-client privilege means that your communication with us is confidential. This remains true even if you do not hire us. This is probably the most frequently asked question and the most difficult to forecast. While we can estimate a precise time with uncontested divorces, other more involved areas are harder to predict. Varying factors can cause family law cases to last from as little as a few weeks to as long as a few years. While your attorney can make an estimate once hearing all of your individual issues in a consultation, it is impossible to predict all issues that will arise once litigation is commenced. When can I get a divorce in North Carolina? 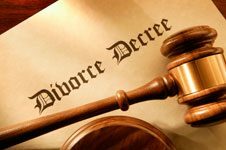 You can legally file for divorce in North Carolina once you have been separated from your spouse continuously for one (1) year and so long as you have been a resident of North Carolina for at least six (6) months prior to filing for divorce. What can I do if my child’s other parent takes the child and I have no Court Order? Contact an attorney immediately. This requires a quick legal response, especially if there is any risk of physical or emotional abuse to the minor child. If you call our office, please indicate the emergency nature of your call and we will make our best efforts to help you as quickly as possible. Do I have to pay for my initial meeting with Reeves DiVenere Wright? There is generally an initial consultation fee, depending on the individual circumstances. Often a client without extensive knowledge of the law has a hard time interpreting or knowing the intricacies associated with domestic law. We are therefore pleased to offer a consultation for prospective family law clients during which you can ask all of your preliminary questions and consult with the attorney to determine your individual representation needs. Please contact our office at 828-268-9640 to schedule your consultation. Please contact our office and one of our knowledgeable staff will ask you the questions we need to know so that we can point you in the right legal direction.